Anna will make you feel at home the moment you walk in the door. Specialized computer testing is used as part of your examination. 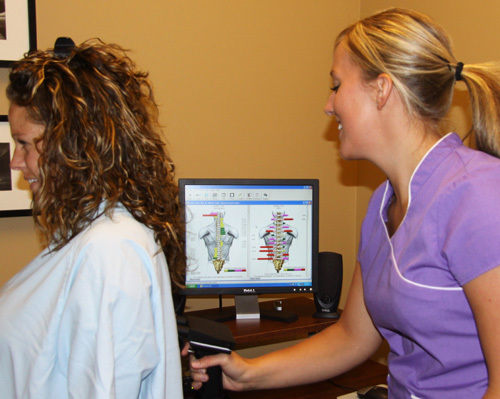 Dr. Orr uses specific test to evaluate your spine. Dr. Orr adjusting a patient. 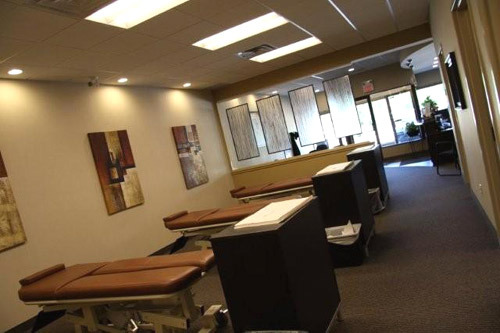 After your adjustment Dr. Orr will recommend when to schedule your next appointment. Our technique is gentle enough for all patients, big or small. 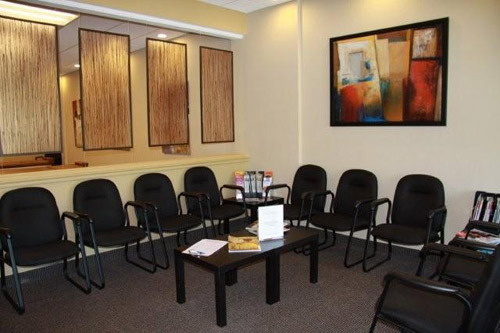 Our adusting suite was designed with you in mind. Your comfort and privacy are important to us. Our adjusting tables raise and lower automatically. 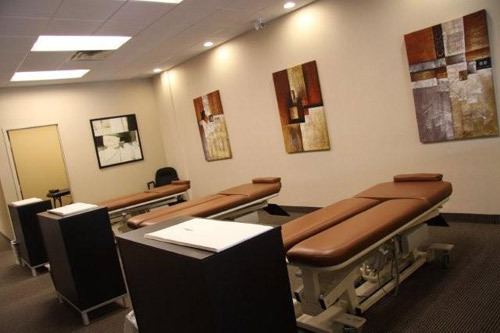 We have tables that are specially designed for clients who may have trouble getting on and off of them. 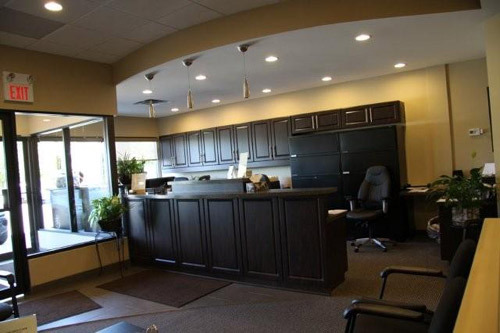 Our Chiropractic Assistant will be happy to help assist you if you need it. 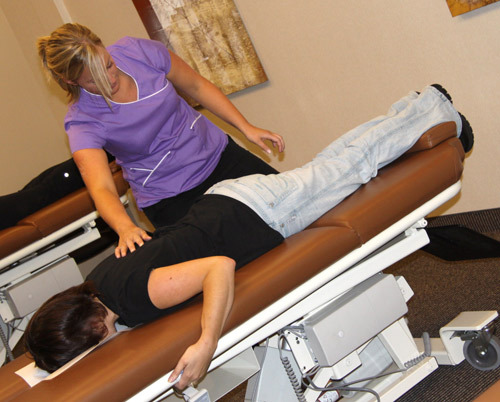 After your adjustment, Anna will help you schedule your next appointment.